It’s no secret — sugar, when consumed in excess, leads you down the road to obesity and diabetes. Still, sugar-loaded foods and beverages have become a way of life for many Americans. So much so, that the average person consumes about 20 teaspoons of sugar a day! That’s about 14 teaspoons, or 60 grams, more than is recommended for a healthy diet. All that sugar not only makes you fat but now experts agree it may also lead to Alzheimer’s disease. Here’s what happens to your brain on sugar. For the first time, a link has been established between blood sugar and Alzheimer’s disease. A study from the University of Bath, published in the journal Scientific Reports, found that too much sugar in the diet damages a vital enzyme involved with inflammation response, linked to the early stages of Alzheimer’s. Researchers compared brain tissue from healthy patients to those with Alzheimer’s to study glycation. Glycation is a natural process whereby sugar in your bloodstream attaches to proteins. It forms harmful new molecules called advanced glycation end products. Previously, scientists have been trying to find out just how glycation factors into the age equation. But now with this research, scientists conclude that in the early stages of Alzheimer’s, glycation damages a protein called macrophage migration inhibitory factor (MIF). MIF plays an important role in immune response, insulin regulation, oxidative stress and control of glucose levels. All of which link to Alzheimer’s disease. There are about 50 million people worldwide with Alzheimer’s disease, according to Bath University news. This figure is thought to increase to over 125 million people by 2050. This means hundreds of billions of dollars will be spent on medical and social care because of the cognitive effects of the disease. “Excess sugar is well known to be bad for us when it comes to diabetes and obesity, but this potential link with Alzheimer’s disease is yet another reason that we should be controlling our sugar intake in our diets,” Dr. Omar Kassaar, also from the University of Bath, added. Your brain has built-in evolutionary mechanisms that drive your cravings. Many of these mechanisms are meant for survival, one of the which is eating. And of course, the release of hormones is also involved, according to Tufts. When you eat something sweet and delicious, the good feeling of the experience is determined in part by hormone receptors. Over time, these receptors become less sensitive to the hormones produced when we enjoy a particular food — like chocolate cake. So, in the future, you’ll need to consume more and more chocolate cake to have the same pleasant experience. It’s not just the obvious treats like sugary soda, candy, cookies and cakes that turn us into sugar addicts. Today’s modern diet is so loaded with hidden sugars and sweeteners that we don’t even think about how much sugar we’re actually consuming! In fact, sugar has found its way into breads, fruit juices, dairy products and all kinds of so-called healthy snacks — and it’s hooking us in like nicotine, cocaine and even heroin. Have you ever wondered why you have such a sweet tooth? Well it may stem from childhood. Research shows that children who are obese have brains that actually light up differently when they taste sugar. For some, sugar provides a heightened sense of “food reward” response. This suggests that certain children have brain circuitries that influences them to crave more sugar while they’re young and throughout adulthood. We know that cutting back on sugar will help us lose weight, but what will it do for our brains? When you eat something sugary, your blood sugar levels spike rapidly, giving you that boost in mood and alertness. However, soon afterward it crashes after insulin is released into your cells. This big, sudden drop in blood sugar can make you shaky, weak, hungry and yes, moody. Although sugar doesn’t necessarily cause mental health problems such as depression or anxiety, it can accentuate the symptoms. Research suggests that too much sugar can impair your body’s ability to cope with stress, which then makes you more likely to experience symptoms of anxiety. Reducing sugar can help minimize symptoms of mental health conditions, boost your energy and improve your resilience to stress. By limiting your sugar intake and choosing more wholesome, nutritious foods — evenly spaced throughout your day — you can give yourself more stable energy levels that leave you feeling much happier, less moody and more alert. 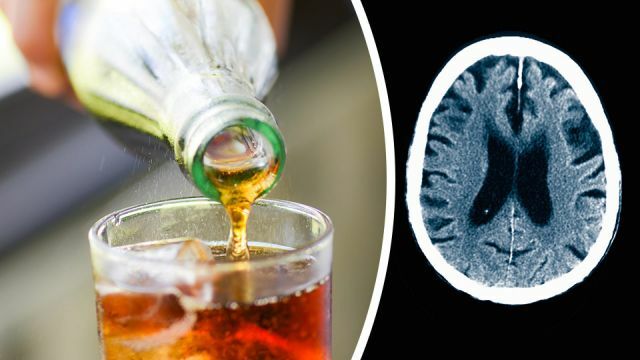 But even more important, reducing or eliminating sugary sodas and foods from your diet, altogether, may also help ward off Alzheimer’s. Hey Buddy!, I found this information for you: "New Study: THIS Is What Happens To Your Brain On Sugar". Here is the website link: https://www.thealternativedaily.com/this-is-what-happens-to-your-brain-on-sugar/. Thank you.